Familiar at Steppenwolf Theatre rings true as a familiar story in one way or another for most of us. An immigrant family struggles with education and culture in its new country, and tries to maintain elements of its old country’s customs in its new environment. Danai Gurira’s 2015 play dramatizes the story of a Zimbabwean-American family, but we could tell a similar story about families that emigrated from Europe, Asia or Latin America. In the late 19th and early 20th centuries, millions of immigrants from Ireland, Italy, Germany, Russia and eastern Europe arrived in the U.S. They dealt with economic anxiety, took often menial jobs and lived in crowded tenements in our largest cities. And they watched their children and grandchildren grow up in a new culture. The situation was similar for Asians and for African Americans who moved north and west from the Jim Crow South in the Great Migration. And later for immigrants from the Middle East, Mexico and Central and South America. Familiar is a colorful, complicated story, both funny and poignant. It’s about one deliciously bizarre day as the Chinyaramwira family prepares for a wedding. Danya Taymor’s direction is exquisitely choreographed and joyous. But its finest feature is that it stars three incomparable women of Chicago theater: Ora Jones, Jacqueline Williams and Cheryl Lynn Bruce. If you see no other reason to buy a ticket to Familiar, do it to see these luminaries perform. The Familiar story centers on Marvelous (Jones) and Donald (Cedric Young), who live in an upper middle-class suburban home in the Twin Cities. Marvelous is a Ph.D. biochemist engaged in DNA research. They have two daughters. Nyasha (Celeste M. Cooper), a singer-songwriter, has just returned from a visit to Zimbabwe; she has blogged about it but no one has read her blog. Her older sister Tendikaya (Lanise Antoine Shelley), a lawyer, is to be married this weekend to a young white man named Chris (Erik Hellman), who has spent time in Africa and runs a human rights nonprofit. It’s close to Christmas in this Christian home. Aunt Maggie (Williams), a Ph.D. and occasional professor with a side consumer products business, has arrived for the wedding. And so, unfortunately, in Marvelous’ view, has Auntie Anne (Bruce), who has traveled from Zimbabwe. Tendi has asked her to add a traditional African element to the wedding. Bruce (as Anne, dressed to perform the roora) and Williams. Photo by Michael Brosilow. Chris is instructed by Auntie Anne to find his munyai (his representative, because the groom cannot negotiate the bride price himself) so he calls on his younger brother Brad (played with enthusiasm by Luigi Sottile). The negotiation begins. Chris wants to respect his fiancée’s culture, but he has no idea how expensive this will be for him. The family’s preparations for that night’s rehearsal dinner continue, but not uneventfully. A shocking family secret is revealed. But all is fairly calm at the end, as Nyasha plays and sings the wedding song she has written for her sister. It’s titled “Familiar” and she plays it on the mbira (a bowl-shaped string instrument) she has brought from Zimbabwe. Family members occasionally converse in their African language (but the dialogue always makes their meaning clear, with or without translation). An ongoing shtick involves Donald’s persistence in hanging a tourist-agency type poster of Zimbabwe on a prominent wall in the living room. Marvelous keeps replacing it with a large floral wreath, which Donald removes to rehang the poster. I mentioned the fine performances of Jones, Williams and Bruce above. But this is an all-around sterling cast. And the script gives each character a chance to shine with meaningful speeches or moments of acknowledged yearning. Young as Donald is a loving and concerned father and husband. Cooper and Shelley as the two sisters, although very different in personality, are both convincing as the creative and practical spirits of the family. And Hellman and Sottile fit in as parts of this screwball whole. Kristen Robinson created the scenic design with lighting by Marcus Doshi. Costumes are by Ntokozo Fuzunina Kunene. Justin Ellington is sound designer and musical director with compositions by Somi. Michelle Lopez-Rios is dialect coach and Gigi Buffington is voice and text coach. Danai Gurira is author of critically acclaimed plays, including Eclipsed, In the Continuum and The Convert. She is also known as an actor for her roles in AMC’s “The Walking Dead,” Marvel’s Black Panther and Avengers: Infinity War. One of her next projects is adapting Chimamanda Ngozi Adichie’s novel, Americanah, into a miniseries. Familiar continues at Steppenwolf Theatre, 1650 N. Halsted, through January 13. Running time is 2.5 hours, including one intermission. Tickets are $20-$109. Twenty $20 tickets are available (by phone only) at 11am on every performance day. Half-price rush tickets are available at the box office one hour before each show. You read all the way to the end of this post? 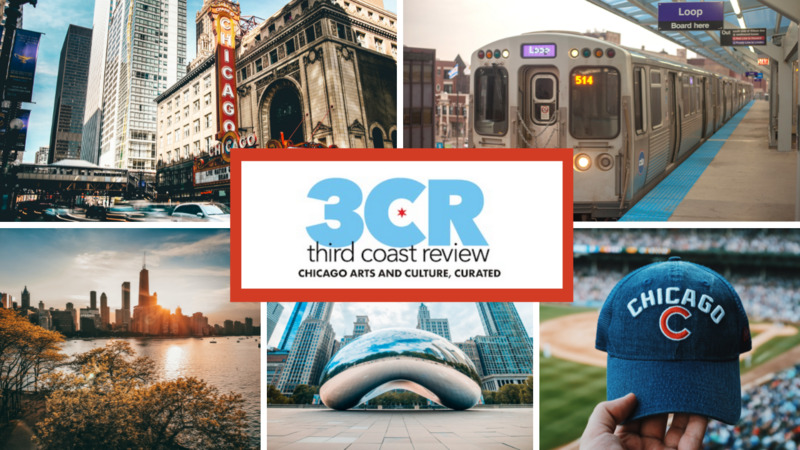 Then we hope you enjoyed it and will consider supporting Third Coast Review’s arts and culture coverage by becoming a patron. Choose the amount that works best for you, and know how much we appreciate your support! Nancy, this was a wonderful review! One of the best…Happy New Year!